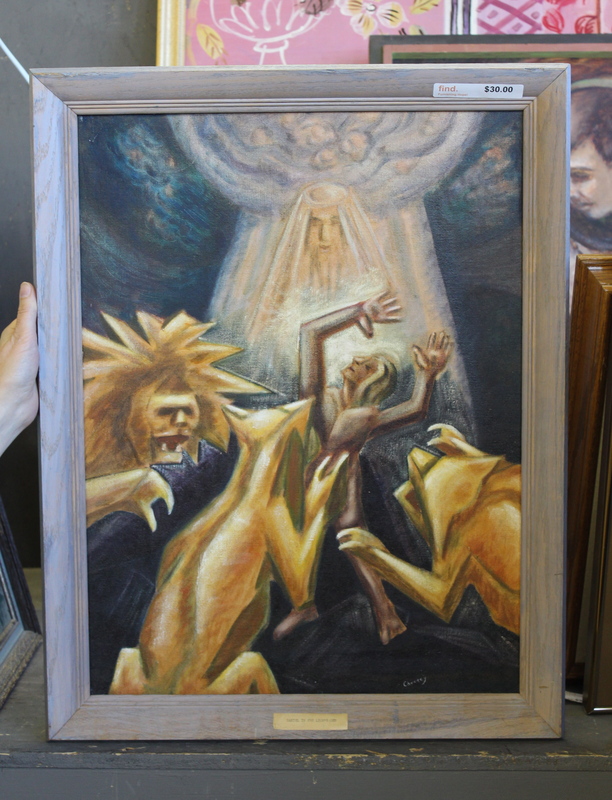 Thrift Item of the Moment: The Paintings of Ada C.
This remarkable painting, labeled “Daniel In The Lion’s Den”, is by Ada C. – her name, address and phone number are printed on the back. I found it at a thift store last week and was immediately taken by the cubist/art deco style. I didn’t have my camera on me (what was I thinking?) so I had to come back the next day to take a picture. I’d love to buy it but I don’t want to pay the $30 sticker price. I tried haggling with store staff but they wouldn’t budge on the price. They said it might be marked down in a few weeks if it doesn’t sell, so I’ll be checking back. 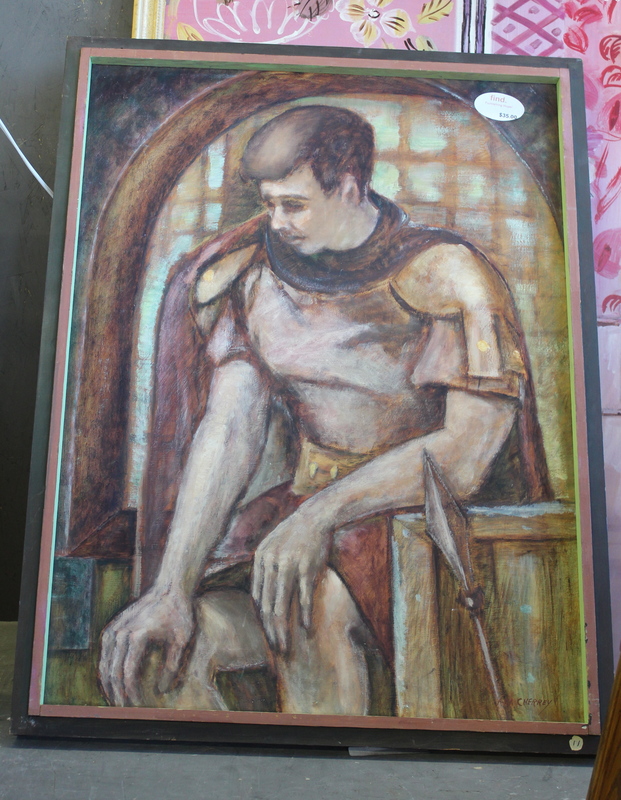 Ada also did this painting (of a Roman soldier?). Nice, but it’s no “Daniel”.